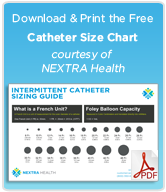 New and Improved Latex Catheter Without the Allergies? May Be Coming Sooner Than You Think. A new article on Today’s Medical Developments highlighted a new and improved latex that could make health care supplies less expensive and requires less resources than their synthetic alternatives currently used by the 3% of patients and 17% of healthcare workers with latex allergies. The new technology is known as Vytex NRL – a type of natural latex rubber that adds Aluminum Hydroxide Al(OH)3 to liquid latex which binds with proteins and makes them easy to remove. This purifies the latex, producing a finished material with the best qualities of latex with a 20-fold lower allergy-causing protein count. Latex is everywhere in medical products, including urinary catheters and wound care. 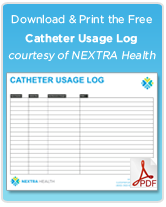 Many catheter users choose most costly catheters made with synthetic materials to circumvent their latex allergies. Modified NRL could produce the soft latex catheters often preferred among catheter that do not cause the allergic reactions that many suffer when using latex; allergies caused by the proteins that the modified versions do not have. Vytex NRL is already being used in products available to consumers – in condoms – a product commonly built with latex. The new Vytex qualities still retain the same strength, sensitivity, comfort, and 20-fold lower protein count than typical latex condoms. When will this technology extend to other medical products? Soon, would be my guess. The demand is there for an improved latex and a lower cost of health care supplies. I suspect we’ll see modified latex in bandages, tapes, catheters, tubing, and more sprouting up over the next several years.